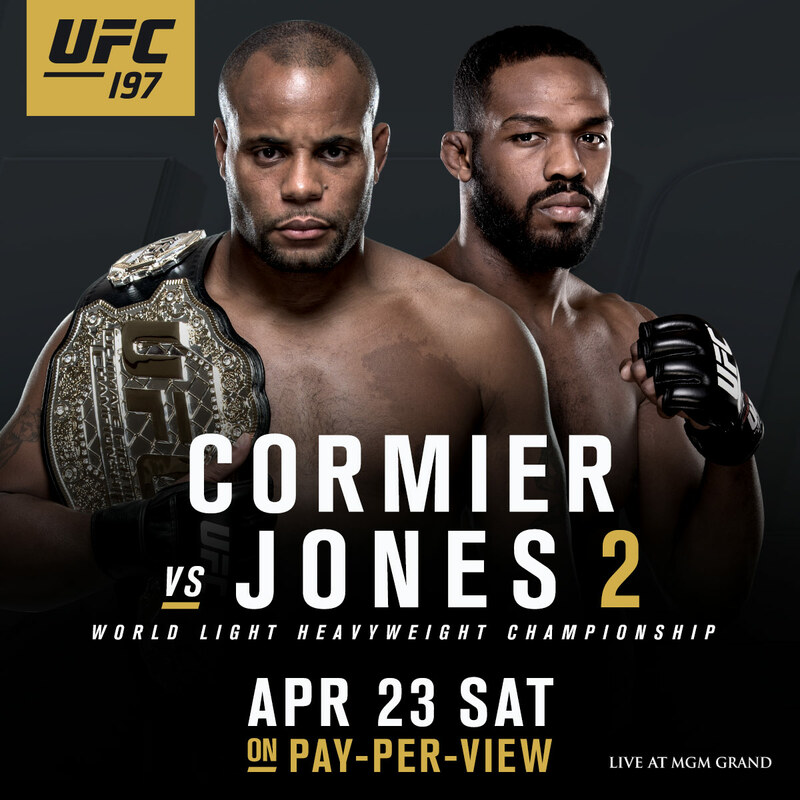 In the main event of UFC 197 on April 23, the wait is over, as former UFC light heavyweight champion Jon Jones returns to the Octagon in an attempt to reclaim his crown from Daniel Cormier in one of the most highly anticipated rematches in 205-pound history. 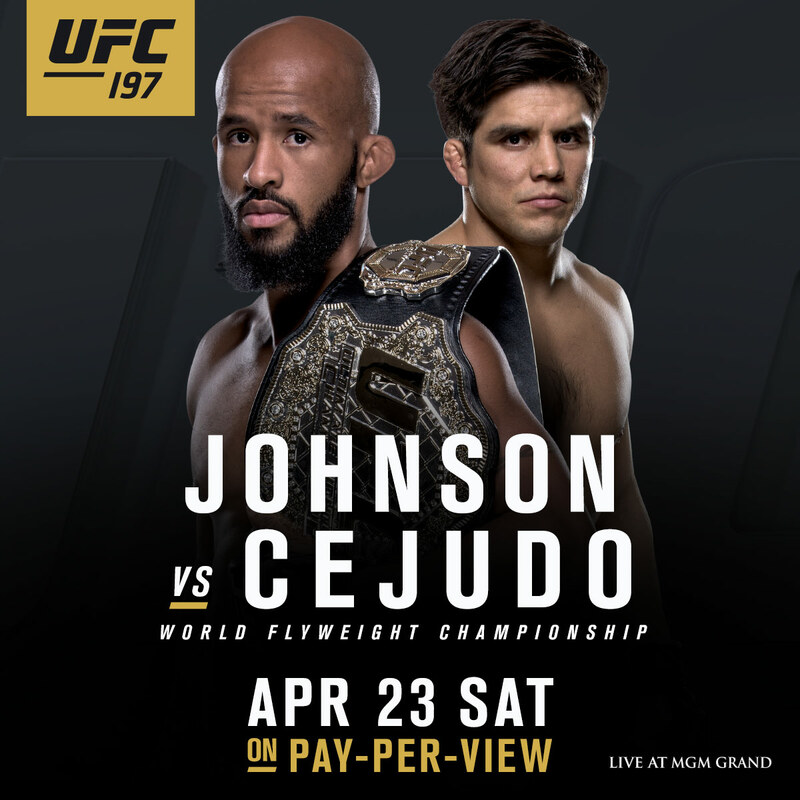 The championship action at the MGM Grand Garden Arena in Las Vegas doesn’t end there though, as UFC flyweight champion Demetrious "Mighty Mouse" Johnson, the most dominant titleholder in the sport today, will defend his title for the eighth time against unbeaten 2008 U.S. Olympic Gold medal-winning wrestler Henry Cejudo. "I feel very proud. I want to thank the UFC for the opportunity to fight for the world title," Cejudo said. "It's my moment, it's time, there will be new champion. Get ready. I'm going to win this for the US and for ‘la raza latina’, my beautiful and beloved Mexico. The Aztec warrior is coming. The messenger will fight on April 23 and it comes up as an Aztec warrior "
Stay tuned to UFC.com for ticket on-sale dates and more UFC 197 fight card announcements. The pound-for-pound king and a record-breaking holder of the 205-pound title, Jones vanquished Cormier via decision in their first bout in January of 2015. But after the New Yorker was stripped of his crown due to legal issues that have since been resolved, Cormier, a former U.S. Olympic wrestling team captain, won the vacant title by beating Anthony “Rumble” Johnson and then defeated Alexander Gustafsson in a classic championship bout. On April 23, "DC" is eager to welcome his heated rival Jones back to the Octagon to even the score. The UFC’s first and only flyweight champion, Demetrious Johnson has ruled his weight class with an iron fist since winning the belt in 2012, successfully defending the title seven times with wins over the likes of John Dodson, Joseph Benavidez and Kyoji Horiguchi. But in 2008 U.S. Olympic Gold medalist Cejudo, he will be facing an unbeaten rising star hungry to make his move and secure his first world championship in mixed martial arts this April.